Free Installation And Tech Support On All Systems. Our soda sytems come with full installation and tech support to help make the installation and the day to day operation run smooth. Our staff will take the time to walk you through your entire installation and setup free of charge. All of our systems are backed with a full five year warranty that covers all parts. Our mini tower model is our home soda dispenser and refrigeration unit perfect for the countertop application. Our KP model is our finest home soda dispenser and refrigeration unit our company has to offer. It has the capability of operating two locations and can be installed up to 100 feet away in a remote location. 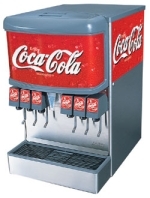 This soda dispenser unit is ideal for your kitchen, wet bar, game room, home entertainment room and outdoor patios. Our tower model is our home soda dispenser and refrigeration unit which works perfect for the countertop application. Our IC model is our basic home soda dispenser and refrigeration unit which works perfect for under cabinet applications. This soda dispenser unit is installed no more than six feet away from the location of the soda tower. 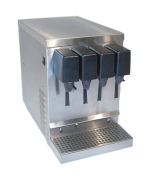 This soda dispenser unit is excellent for your kitchen, wet bar, game room, entertainment room and outdoor patios. These units are available in four different models - one, two, five and six flavors. 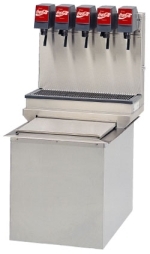 Our tower model is our home soda dispenser and refrigeration unit perfect for the countertop application. Our KP model is our finest home soda dispenser and refrigeration unit our company has to offer. It has the capability of operating two locations and can be installed up to 100 feet away in a remote location. 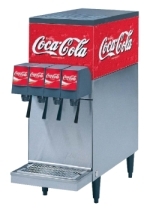 This soda dispenser unit is ideal for your kitchen, wet bar, game room, home entertainment room and outdoor patios. These units are available in four different models - one, two, five and six flavors. Lancer drink dispenser towers are big enough for your business, but small enough for residential use . These units are available in four different models - one, two, five and six flavors. Lancer drink drop-in dispenser towers are big enough for your business, but small enough for residential use. These units are available in two different models. 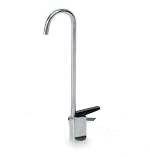 Lancer countertop soda dispenser are big enough for your business, but small enough for residential use. These units are available in four different models - four, five, six and eight flavors. 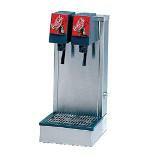 Lancer countertop soda dispenser with ice are big enough for your business, but small enough for residential use. These units are available in five different models - four, six, eight, ten and twelve flavors.